Imagine getting to work in the marijuana industry. It’s a new industry that still needs its pioneers. The possibilities are endless, and best of all, it’s in the freakin’ marijuana industry! Today, we're going to show you how to get a job in the marijuana industry. And where did we get our information? Straight from the mouths of the people in charge of hiring at various harvesting companies, dispensaries and even some people in the smoking accessories space. Whatever you want to do in the marijuana industry, this guide will teach you what you need to do to get the job. How can Someone Improve their Chance at Getting a Job in the Marijuana Industry? Does the Pay Reflect the Market Size? Once you get your foot in the door, the growth potential is amazing. The market is projected to be $30 billion by 2021, with no signs of slowing its growth. The money is there. The jobs are there. Actually getting your feet in the door. Because of this phenomenal growth, and the massive amounts of money floating around, the marijuana space is starting to attract top talent. 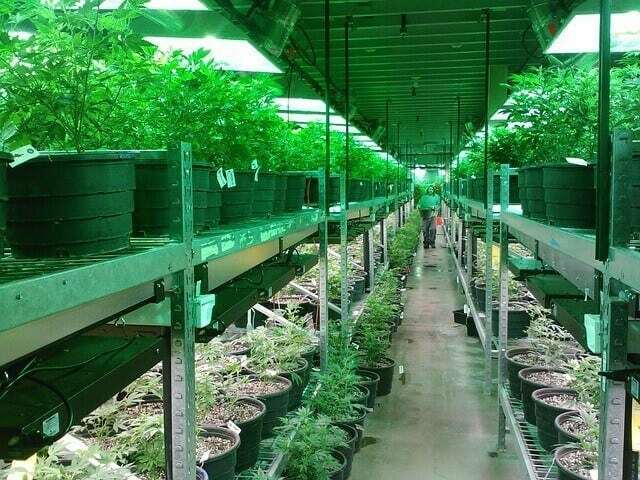 Growing marijuana for a living is everyone's dream job, but what do you put on your resume? That you’ve been growing in your closet the past ten years? Before you start your journey to working in this cannabis space, you need to think about why you want to do. The jobs are demanding, and, depending on the job you want, may require you to devote a lot of time to studying cannabis. Master grower, extraction technician and even chef all require precision and years of hard work to master. The cannabis industry is for the ambitious and the talented. If you think you have what it takes, keep reading to find out how you can get your chance. The beginning of the 106-year prohibition of marijuana all started with Massachusetts requiring a prescription to get marijuana. And then in 1937 when the passing of the Marijuana Tax Act made cannabis illegal at a federal level. Since then we’ve hit major milestones on the path to winning our cannabis back. In 1973 Oregon first decriminalized possession, and then again in 1996 when California Prop 215 first made marijuana legal again in the United States. One by one states are starting to follow California's lead in legalizing medicinal marijuana, and this brought its fair share of jobs. It wasn’t until 2012, however, when both Colorado and Washington both legalized cannabis for recreational use, that the job market exploded. 2015 brought 18,000 jobs to Colorado alone. And as of today, in total, the marijuana industry has created an estimated 123,000 jobs! Plus, with more and more states legalizing cannabis on a recreational level, that number is projected to hit 283,422 jobs by 2020. Of course, we all want to work with cannabis. It’s something we love and strongly believe in. Plus, cannabis culture is filled with positive vibes and people trying to make the world a better place. But, at the end of the day, rent is due on the 1st of the month, every month. So, how good is the pay in the marijuana industry? Let’s take a look at some of the most popular jobs in the industry and how their salaries play out. You can’t think about working with cannabis without wanting to grow it! And, while you don’t start off as a grow master, this should ultimately be your end goal if you want to grow cannabis. We’ll get into the duties of a grower, as well as how to get a job growing, in just a bit. Moneywise, though, you can expect to make over $100,000 per year plus a cut of the profits. Managing a store (head shop or dispensary) is a good way to take job skills from another job sector into the marijuana industry. Since not a lot of other skills transfer over, if your resume demands it, you can manage a store and command $75,000 a year plus bonuses. Sure, it all depends on the sales of your store, but with business continuing to increase a good manager will be worth more and more. Now, this isn’t for the faint of heart. If you’re an adventurous entrepreneur that wants in the space, this is one route you can go. With some stores doing $20+ million in sales annually you can make some good change being at the top of the food chain. Be prepared, however, to face struggles with storing money, jumping through red tape and the threat of a federal crackdown. Extracts have BLOWN UP in the past few years. For good reason, they rock. WIth the demand for them increasing, so is the demand for extraction technicians. This isn’t the easiest job to get, however. To be looked at on this side of the business, your schooling is going to need to back you up. A lot of these techs have Ph.D.’s in chemistry, and it involves a lot of lab work, but you can expect to earth $75,000 to $125,000 per year. If you have no experience, but really want to get your hands on the bud, this is your best bet. Usually, an entry-level position that can lead to better-paying jobs like a grower, bud trimmers earn $12-18 per hour. Another entry-level position, however, it is ultra-competitive. To land a job as a budtender, you need to really study your strains, know the effects they have and what they are suggested to treat. Your job is to help the consumer land on the perfect cannabis for their situation. You can expect anywhere from $31,200 to $42,000 per year as a budtender. If so, combine your love of cannabis with cooking, and you can make some damn good money. It’s not as simple as just cooking, though. You are expected to make good tasting edibles while also maintaining perfect dosing amounts. The casual cook can use our cannabis cooking calculator found here, but a profession edibles chief will have to lab test everything. They make $50,000-$100,000 per year depending on your experience and talent. There are more jobs in the space then you think. We need accountants, lawyers, doctors, sales reps and marketers. There’s glassblowing, working in head shops and online headshop warehouses. If you fancy yourself a writer, you can even get paid to write about cannabis by publishing companies like THCoverdose. Remember, you don’t just have to have your hands on the buds to carve yourself a niche in the marijuana industry. While we reached out to a ton of different fields for interviews, not everyone was able to get back to us. But, as we talk to more hiring managers about their line of work, we’ll update this resource with what it takes to get a job in their field. For now, let’s look at growing, working in a dispensary and working in the e-commerce sector. Being a grower is challenging and not a job for a slacker. Whether you’re in charge of a team, or just a team member, you’ll need to constantly solve problems and adjust the way you grow. Cannabis is the cash crop, so there is no room for failure, and that’s why growers get paid so well. Most of the time growers work their way up from trimers or even budtenders, and if they’re talented enough, they make it all the way to master grower. You need to be willing to study up since you’ll need to know everything listed below. “At Trail Blazin', first and foremost we are looking for a personality. Experience in the cannabis industry is not something we look for, so if you don't have any, don't worry. We want someone who understands our mission, our values and what it's like working for a start up company. If you are looking to make a lot of money quickly, this is probably not the industry for you. If you're looking to do something that makes you happy and influences the world in a positive way, now we are talking!! Telling us how much cannabis you consume does not help your chances of employment. It is also imperative that you follow ALL application directions. It is a test. I think Danielle brings up very good points and one that I wanted to address early on. We focus so much on it being in the cannabis industry that we forget that, for the most part, it requires a lot of what it takes to get a job in any field. Focus on getting the application process 100% correct, get your resume in order and dress the part. And you shouldn’t just jump on board with any company either. I know getting one of these jobs would be a dream come true, but do your due diligence and research the company to see how past employees have been treated. It’s also a good idea to make sure your values align with the company's mission statement, and it’s a company you’ll be happy to work for. “Shango is a vertical facility in all states we operate in. We cultivate, extract and have retail. On the retail side of the business things that help with employment is having knowledge and experience of all types of products. 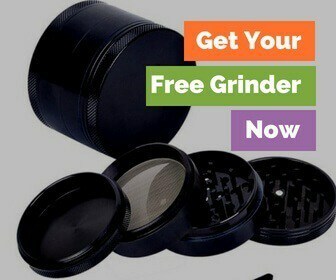 This gives the bud-tenders personal knowledge of products and how it can help people's ailments. For the extraction and kitchen we look for people who have a chemistry background and understand the basics of separating and distilling cannabinoids for extractions. To work in a Shango commercial kitchen, we look for food prep or line workers as well as people with a confection background. Old habits are hard to break, and while you can learn to grow great cannabis on your own, growing on a professional scale is a completely different monster. Show a hunger and a passion for learning in your interviews. Be sure not to bring up your experience as a closet grower, and you should increase your chances at getting a job growing. “Colorado Harvest Company employs 80 individuals in cultivation, management, IT, administrative/professional in addition to retail sales and service positions. Because ours is a vertically integrated company, this notion of integrity and customer service extends to our sales and service personnel who interact with hundreds of customers every day—to the tune of 200,000 sales per year among our three dispensaries. Before you even start your interviews, you need to be prepared. Having all of your paperwork, licenses and state badges in a row will move you to the head of the pack every time. Employers like to hire people who show initiative and do their homework. So, while it's important to study up on the employer, go the extra step and move forward as if you’ve already gotten the job. States like Colorado require you to have a MED Occupational License to have a job in the industry, think about what it looks like when you approach a company for a job but don’t have your ducks in a row yet. If you live in Colorado, learn more about MED Occupational Licenses here. It can also help to get various certificates in the field like the ones you can get from greencultured.co. If anything it shows that you know your marijuana and that you are focused and determined to master the craft—a quality any employer would be love to have in their employees. There are tons of jobs working in a dispensary. They need people for the front desk to greet customers as they arrived, check ID’s and help manage online inventories. And sales consultant jobs are needed to help push the products. If you want to get into sales, make sure you approach them with a bright and bubbly personality, some sales and product knowledge and a familiarity with spreadsheets. If you want to work on this side of the dispensary, you should familiarize yourself with any marijuana regulations about sales and inventory. Maybe even learn systems like Colorado's, Metrc Inventory system. Systems like this help dispensaries maintain regulatory compliance. So, if you show up to the interview with knowledge of their systems it will help you stand out from the rest. And then, of course, there is the job as Bud Tender. This position is the face of the dispensary. You’ll be working hand in hand with the customers and patients, helping them choose their cannabis. If you are looking for a Bud Tender job and really want to impress your interviewer, become a certified Bud Tender by taking the course at Greencultured.co. It will teach you your responsibilities, weighing and packaging methods and a deep dive into things like the effects of eating marijuana and the effects of different medical marijuana strains. Plus, you'll get a certificate you can show off in your interview to prove you know what you're talking about. “90% of success is just showing up and rolling up your sleeves and doing the work at hand. Like Dona from The Natural Cannabis Company said, you need to approach potential employees like a professional. While we all love cannabis, most employers aren’t going to hire anyone that comes in stoned out of their gourd and can’t show composure. And again, show that you’re hungry. Do your homework and be ready to work hard. “The best way to improve your ability to get hired in this industry is to learn everything you can about the company you are trying to get hired by. Thanks to the internet, it’s easier than ever before to learn about your ideal employer, their mission statements, and their current promotions and products. This kind of extra effort will help you formulate informed and insightful questions to ask in the interview. By showing that you know a thing or two about the business and its competitors, you can single yourself out as someone who is really passionate. Are you sensing a running theme here? Let your passion for the industry show in your interview, and study as much as you can. Learning all you can about a company before you go to your interview it super important. But, also take the time to learn about their marketing, products and competitors so you can leave your interview confident you held your own. Another way to jump in the industry, even in a state that hasn’t legalized marijuana either medically or recreationally, is to get in the glass space. And they offer tons of jobs. Admin jobs, cashier jobs, warehouse jobs, sales and even high-level managerial jobs. My biggest tip would be to prove your worth first, even if you are not asked to or paid to. “While our business is "tobacco use only", it attracts a lot of talent in the MJ industry. We get a bazillion job apps because so many people love the plant and want to be in this industry, so for us it's dizzying to go through them all. If you are 100% sure you want to work for a particular company, this is a good way to impress them. Finding a flaw in their business model or advertising plan, and bringing a detailed plan on the steps you would take to improve that particular aspect of their business can really impress a company. Even if none of your initial ideas get implemented, it shows an employer the kind of value you'll bring to their organization. You also need to be fully aware of your state laws. If you don’t live in a legal state, the only way to get close to the industry is through headshops—whether online or not. You need to respect that these businesses are operating under strict laws, and talking about using cannabis with their products is a big no-no. Now that you know how to get a job in the marijuana industry you need to start thinking about finding one. If you live in a popular legal area such as Denver, you can try to talk to various managers on how to apply, but if you want to improve your odds at find a lot of openings you need to seek the help of a job board or recruiter. Thankfully, there are some good cannabis specific options for your to look at. You can also look at the big job boards like Indeed and Monster, but they don’t offer the same kind of job placement and job training the cannabis-focused recruiters do. Are you ready to start your career in the marijuana industry? Learn about the plant, the science behind how it grows and take pride in your work. Take the time to learn about the company and licenses you may need before you reach out. Be prepared for hard work and good times and to demonstrate your passion for the industry. Most importantly remember, this isn’t going to just be a party. In an industry that is still in its infancy, we need the people that are going to shape it and make it something we can be proud of. Cannabis is something that needs to be in the right hands.